Helps with Asthma, Respiratory Problems and Engergizers Your Life. Business Opportunity…. Why Wait For The Opportunity? This is a turn key operation within a shopping centre where we have already negotiated the terms and conditions on your behalf. 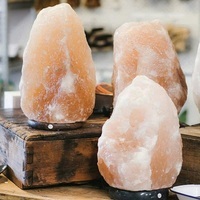 10 Reason for needing a Himalayan salt lamps in your home or office. Everyone should own at least one or more Himalayan salt Lamp in their home or office! These natural salt lamps are not only look stunning but are known for their enormous benefits to our well – being. Do you want to stress less, sleep better and want to feel happier, without any drugs. 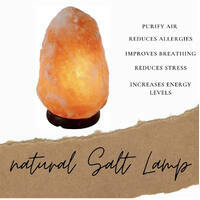 Salt Lamps helps to improve breathing and sleeping in a natural way. 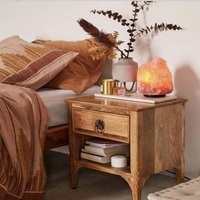 Use salt lamps in bedrooms, living rooms, hallways, or anywhere you want to create a tranquil energy, experience totally calm and peace while relaxing and enjoying the atmosphere. A Himalayan salt lamp is a natural filter that will rid your home of air pollution and positive ions, working as a natural air purifier, keep the salt lamp on 24/7 to maintain this purifying effect. Himalayan salt lamps helps with respiratory problems. 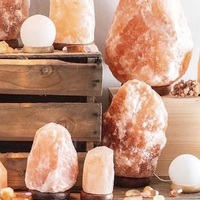 Salt lamps are helpful: Increasing alertness, increase better mood, Reducing allergies symptoms, Increasing levels of serotonin which will assist in better sleep, Alleviating symptoms of depression, Reducing stress, Boosting energy, Supporting the immune system. It also helps with Asthma, Hay Fever, Depression, Chronic Fatigue, Sinus, Migraines, Headaches, Allergies, Helps with your immune system, Concentration, Colds and flu and increases your lung capacity to help you breathe with ease, having better night sleep, and keeping calm and relaxed. 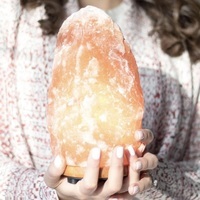 People using salt lamps in their home are reporting that they have notice a great improvement in their physical and mental well- being soon after lighting their salt lamps. If you notice that your sleep circle tends to get interrupted, try placing a Himalayan salt lamps in your room, and leave on to allow the salt lamps to release negative ions, into the air giving you better air quality, once you have done this, you should start to begin to see a huge improvement in your sleep patterns, feeling that you are having a better night sleep. The warm glow of the salt lamp, are a natural source of fresh clean air, just what you need to cleanse your home helping you experience calmness and peace. Very important our cords Comes with C-Tick (Australian Standard) approved cord, it is 1.8 meters long and we supply you with an oven globe. Compliance with the Australian EMC regulations are mandatory and apply to almost all electronic products supplied to the Australian market. Application of the C-Tick mark signifies compliance with appropriate Australian EMC Standard. Our cords comply and are C-Tick approved and carry the C-Tick Mark. C-Tick Cords are built to Australian Standard and tested for Australian Standard as extra protection. They are also extra insulated to stop interference with other electrical appliances. Three months warranty on cords. 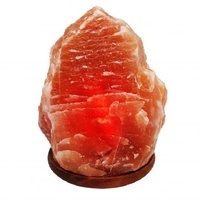 2-3kg Himalayan Salt Crystal Lamp will ionize approx 10-12 square metre area. At Forever Exotic Himalayan Salt lamps are carefully handcrafted and are unique in design and colour and no two salt lamps are the same! Are highly suitable for daily use. Please click on the link below to have a better understanding of how to use, maintain and ensure the safety of your natural salt crystal products and their benefits.